You will learn the foundation of basic manners for dogs. This class is designed for dogs that have had no prior training or were unsuccessful at previous training attempts. We will discuss polite behavior, jumping, barking, nipping and house soiling. Your dog will learn impulse control and calm behaviors to help you feel more in control. This class will also take basic obedience behaviors such as sit, wait, stay, down, come, walk nicely, no jumping up, leave-it and teach you how to apply them to daily life with your dog. We use positive, creative techniques to teach your dog how to think and how to make good choices. These techniques help build confidence in your dog while forging a trusting bond between you and your pup. This course is the next step in the development of a well-mannered and well-socialized pet. The focus of the course is on the continuance of Basic Obedience I and emphasizes reliability and working with distractions. We take impulse control to the next level. 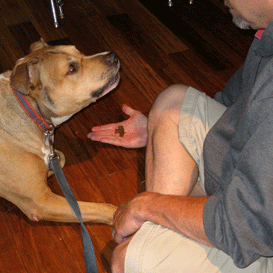 Your dog will learn to confidently perform behaviors without the crutch of a treat in your hand. Included in the curriculum are heeling with turns/pace changes, long down stay, long sit stay, recall with distractions, sitting politely for petting, accepting a friendly stranger and specific behavior problem solving. 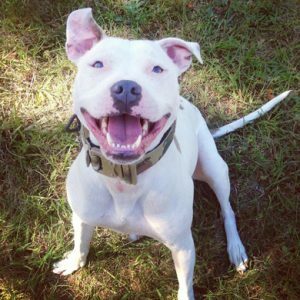 We use positive, creative techniques to teach your dog how to think and how to make good choices. These techniques help build confidence in your dog while reinforcing a trusting bond between you and your pup.